Authors selected for oral or poster presentations are entitled to submit an original manuscript for the conference proceedings. Accepted manuscripts will be published in the Journal of Physics: Conference Series. Papers need to be prepared carefully following the IOP author guidelines, for both papers and references, using the Latex templates. Please, review also the information for authors. The manuscript length should not exceed 6 pages. 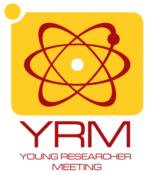 You should send the source files (Latex, figures) and a PDF of your article to secretary@yrmr.it by 20th July 2017. By submitting a paper an author and all co-authors are assumed to agree with the terms of the IOP Proceedings License, please read them carefully. Important: we would ask authors not to upload their contributions on ArXiv before the reviewing process has been completed and the manuscripts accepted by the Journal of Physics: Conference Series.